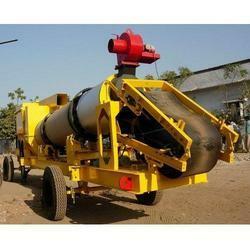 We are determined to provide a superior quality range of DM 30 Mobile Hot Mix Plant. Hot Mix Plant available with 100, 150 and 200 TPH Capacity. 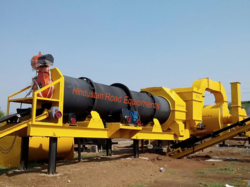 We are acknowledged organization which is engaged in presenting remarkable range of Hot Mix Plant DM..
Banking on the skills of our qualified team of professionals, we are involved in providing Mini Mobile Hot Mix Plant (Mobile Mini Hot Mix Plant with L.A.P. Burner). Aggregate Size Usable: Upto 30 mm. Height with Chimney: 5250 mm. Height with Chimney Folded: 2850 mm. Drier drum Diameter Outer: 700 mm. Providing mixing unit as per requirement of the customer, available in different capacity starting from 1 liter to 100 liter capacity of mixing reactor.